IF he was still alive, reformist Dr Joseph Rogers might be flattered at attempts to honour his crusading campaigns to improve conditions in the cramped Victorian workhouses of Fitzrovia and Bloomsbury. But, as was pointed out to the well-meaning souls at English Heritage this week, he would hardly have been impressed with the way they want to do it. Rather than rustle up a new blue plaque in his honour, the conservation body wants a former workhouse in Cleveland Road – exactly the type of building he despised – to be protected in his name with listed status. English Heritage has asked junior culture minister Margaret Hodge to list the Strand workhouse, which later became the Middlesex Hospital Annexe, so that it can be protected from conversion works. Critics have warned it has escaped English Heritage’s notice that Dr Rogers saw the poor design of the workhouses as one of the main problems the area faced and would hate to have been the reason that the buildings were not refurbished and turned into a block of affordable homes. His autobiography is littered with references to the “defects and shortcomings” of the building and some historians believe he hated the sight of it. English Heritage’s intervention comes with conversion plans already in place and an inviting deal to create a new block of affordable homes. Plans were hammered out in a redevelopment deal hammered out when the University College London Hospital decided to sell a swathe of its property portfolio in Bloomsbury to developers. Ironically, many of Dr Rogers’s campaigns were for better housing provision but the listing threatens to stop the block being converted into cheap homes for the borough’s most needy. Holborn and St Pancras MP Frank Dobson, who helped broker a deal over the site, said: “English Heritage in this case look very weak. Their report seems to me a pretty threadbare document. No one would want to deny the appropriateness of commemorating Dr Rogers but it would be ironic in the extreme to mark his humanitarian campaign to improve the living conditions of workhouse inmates by retaining the buildings in Cleveland Street. English Heritage adviser Emily Gee said in her report: “The Strand has important historical connections with Joseph Rogers. 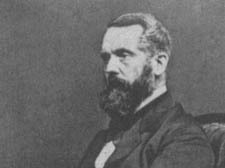 It was Rogers’s first-hand experience as chief medical officer there that launched him into the vanguard of the movement that reformed workhouse conditions and revolutionised healthcare provision for the poor, a significant step towards socialisation of medical care in Britain. The Department for Culture, Media and Sport are expected to rule on whether the building should be listed later this month. THANK goodness common sense has prevailed for once and these awful buildings will come down. They are an eyesore, they do not lend themselves to renovation into decent flats, and they could not achieve the density nor standard of flats that new build will provide. Good ridance.